Not all situations need to be met with lethal force. A lot of the more common attacks on your well being are scary. You have to be able to assess a situation and meet it at the right level. For example, if you are a victim of road rage you might want to fend off a blow or get someone to leave you alone. If the authorities get involved and it looks like you used excessive force to handle a situation, you can get it quite a lot of trouble depending on the overall circumstances. There are a lot of weapons on the market today that are inconspicuous, you can take most anywhere, and are unlikely to be lethal. This doesn’t mean you could not severely injure someone or kill them with any of these weapons if used with enough force. If someone with a heart condition is shocked with a taser or other energy weapon, it could trigger a cardiac event. There is risk with any weapon. Let’s look at some of the vast variety of non lethal weapons out there. If at all possible everyone should be prepared to defend themselves in needed. Impact weapons are some of the oldest in the world and they still have their place in self defense. Finding the right impact weapon for you is important if you are going to utilize it to the maximum potential. When it comes time to choose a weapon you really have to be honest with yourself and your size and abilities. It takes some strength to wield and impact weapon and also some quick thinking. Too heavy of an impact weapon will make it hard for you to use it fast or hard enough. If you have small hands then a smaller weapon is going to work much better for you. For example the baseball bats described below come in different widths and lengths. If smaller will work you can also save some money. This is an affordable and discreet self defense solution you can carry on your belt. It would be hard to make the argument that this easy to expand baton is a concealed weapon if it is in a holster that is in plain site. Pure steel with a foam grip means it is strong yet comfortable to use if you have to throw down in something. A baton can also be used for breaking glass to escape a vehicle or break out of another unpleasant scenario. A weight of 1.2 lbs is hardly noticeable. There is a lot to be said for tactical pens. They are easy to get and about the most inconspicuous weapon out there. You an take them anywhere you want unlike a lot of other weapons. Make sure to get one that is comfortable to use. The size of the barrel, they type of grip, and special features an all affect how well you can wield it. Look for a pen that has easy to find refills and plenty of reviews. 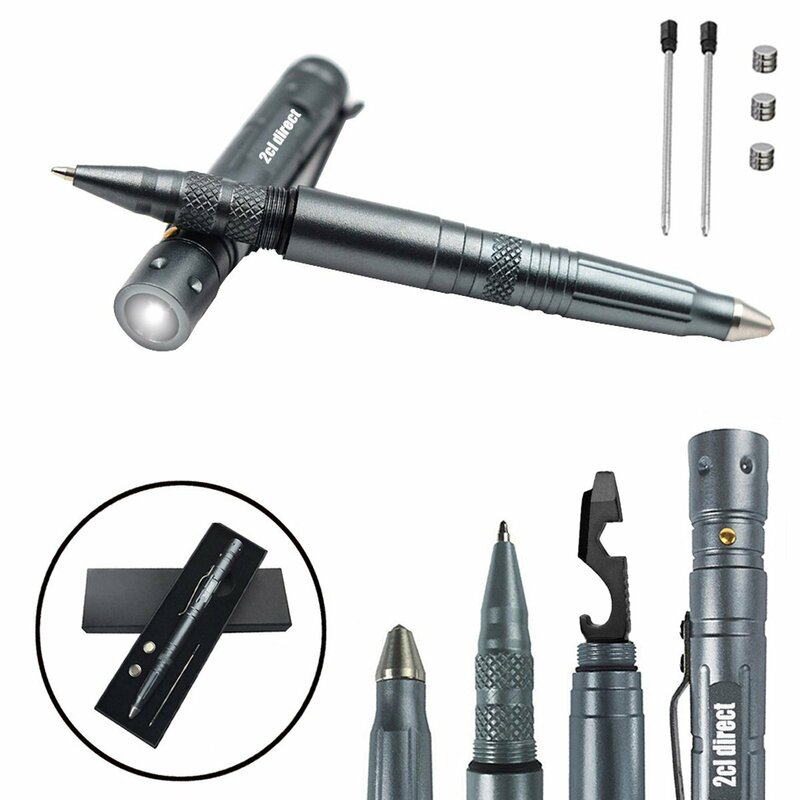 Like so many products, the market is quite flooded with tactical pens that range a lot in quality. Some of you might have read my post awhile back on the Best Tactical Pens For The Practical Prepper. I detailed a lot of different options in a wide price range. I encourage you to read that post but here is one tactical pen to get you started. 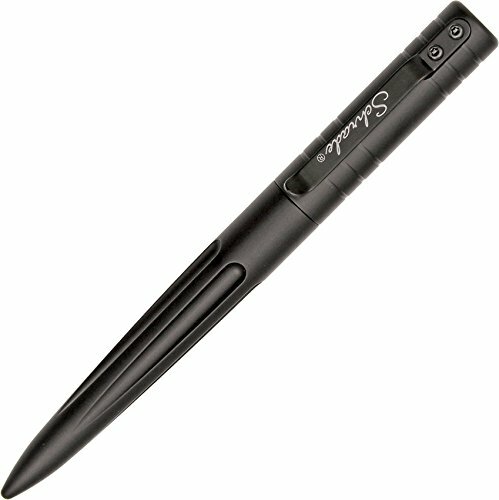 Coming in at 0.06 pounds and 5.7 inches long this is a lightweight comfortable pen from the cutlery experts at Schrade. This a pen you will want to keep with you and it makes a good writing tool as well. The powerful tip is strong enough to break glass when needed or fend off unwanted attention from a bad person. I like this pen because it offers a lot more than just an impact weapon, glass breaker, and writing tool. There is a screwdriver, bottle opener, and a serrated edge. The clip makes it easy to put this in any pocket that is convenient. At under $17 currently, this is a bargain self defense tool. This bat is amazing because it is virtually indestructible. The polypropalene body will not break even when a wooden bat would. Also in a SHTF scenario it would be easier to clean for future use. Gruesome to say but hard times are not guaranteed to not lead to some scenarios no one wants to deal with. Baseball bats are great because they are considered sporting equipment so no one is going to say much if you have it in your vehicle or beside a door. If you are smaller or want something for closer combat they also make a smaller versions called the Smasher and Basher. Oh and don’t forget to wrap the handle with tape or paracord. You want a good grip when the action starts. It might not hurt to have a lanyard on it as well so you are less likely to let it fall.